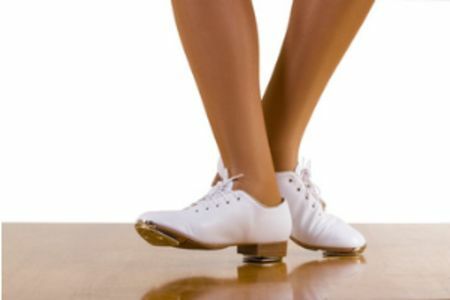 Learn to tap dance with this weekly adult class, suitable for all levels. Innovation Dance School was formed in 2009 by Emma Hardy and Zoe Newell. Their aim was to share their passion for dancing, making a high standard of training available to anyone who had a desire to learn. Dance is a fun way to increase fitness, stamina and flexibility while boosting confidence and self-esteem through performance. Innovation provide classes in many different genres including ballet, modern, tap, street-dance and musical theatre at their studios in Ealing, Finchley and Colindale. Tap is one of the most iconic dance forms. 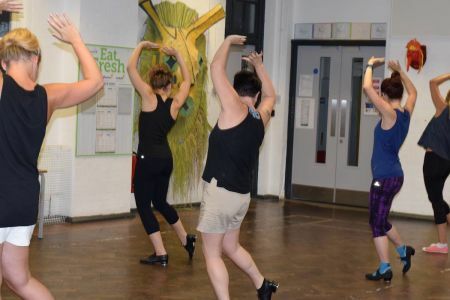 So if you love the idea of tapping out some rhythms and improving your timing, fitness and flexibility then try a tip top adult tap dance class at Innovation Dance School. The class is a step-by-step guide to the essential steps, sounds and moves of tap dance and is suitable for all abilities. Innovation Dance Studios is a London based dance school that offers a great range of ballet, modern, tap, street, break dance and musical theatre for children and adults at their Ealing, Finchley, and Colindale dance studios. Every class has been designed to demonstrate how dance is a fantastic and fun way to increase fitness, stamina and flexibility, whilst boosting confidence, self-esteem and team-building skills through performance. Formed in 2009 by Emma Hardy and Zoe Newell, who had a passion for bringing a high standard of dance training into schools, and reaching out to children who may never have had the opportunity to previously access classes, the Innovation Dance Studios can now be found at sites throughout the capital.